I like to see players grip with an overlapping grip also known as a vardon grip but I can assure you this is my personal preference and is not for everyone. If you have smaller hands try an interlocking grip, it can work just as well and is also used by the games best players. When placing the right hand on the club make sure the shaft lies across the top joint on the fingers and beneath the palm. It will feel very much in the fingers just as it did with the left hand. You should feel like the hands are knitted together and working as one unit. The 'V' or line that's created between the thumb and forefinger of the right hand should also point to the right ear. Try to practice this for at least a few minutes a day so gripping the club in this way becomes automatic and will reduce and excess tension the more you get used to it. 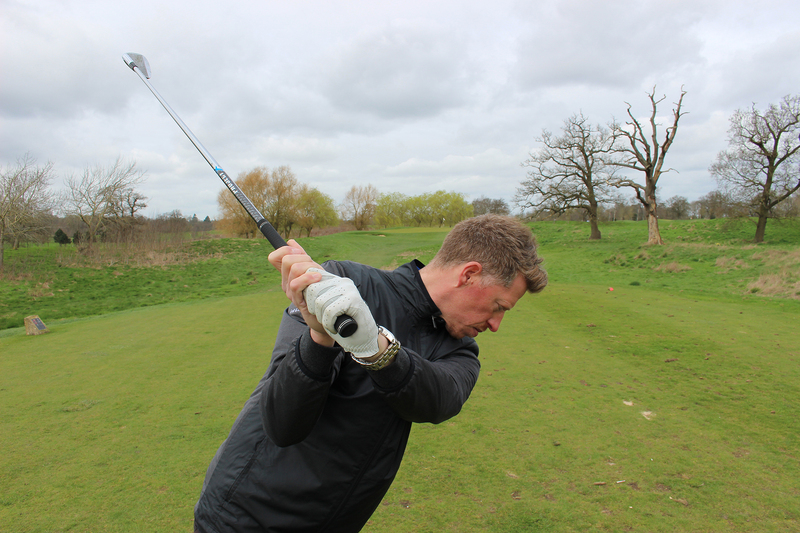 If you have any particular golf swing queries, please give me a shout on Twitter @AdamGlassGolf and I will look at covering it next time on GolfMagic. In the meantime, check out all my latest video tips on the GolfMagic instruction page or check out my personal website.